Love of books is the best of all. 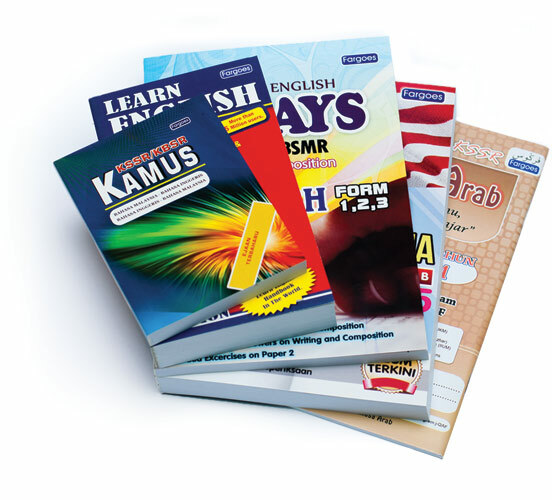 FARGOES was established in 1978 is one of the leading publishing and distribution houses in Malaysia. We produce all kinds of teaching and learning materials for use by teachers and pupils in both government and private schools.Our products range from text books, workbooks, revision materials, teaching materials and dictionaries. We have created a niche market in the supply of books for use in pre-schools and primary schools. Look through our Selection of Books and send us your orders! No 32, Jalan Cemur, 50400 Kuala Lumpur, Malaysia. ©2016 Fargoes Books Sdn. Bhd. All Rights Reserved.